Understanding a company’s impact on sustainable development, and finding ways to manage it, is not an easy task. With so many tools available that claim to, one way or another, help in managing and measuring business impacts on sustainable development, choosing one to address the needs of a company is difficult. To help in choosing and using some of the most valuable tools, GLOBAL VALUE has created tool showcases. What are GLOBAL VALUE tool showcases? GLOBAL VALUE tool showcases introduce 15 handpicked tools that were tested by GLOBAL VALUE and can help in assessing and improving sustainability management systems, evaluating impacts and risks, in building strategies for increasing companies’ positive impact, as well as mitigating potential negative effects on sustainable development. Tool showcases are written based on practical testing experiences of three GLOABL VALUE Tool testers. Find out more about the tool testing process, criteria and which tools were tested here). Each of these 15 tools will be showcased individually. You can sign up to our newsletter to receive latest updates as new showcases are announced. 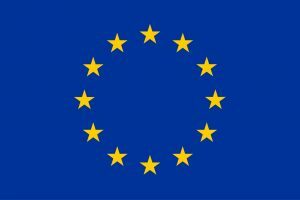 How to read the GLOBAL VALUE tool showcases? The GLOBAL VALUE tool showcases are based on practical experiences of working with each of the tested tools. The showcases provide the most important information about each tool, suggest what it is best suited for, and provide information on each tool’s background. The showcases serve as a guide through the main benefits and limitations of each tool, including ease of use, tool adaptability to different geographical and company contexts, value chain coverage, methodology for assessing impact, and the usefulness of results the tool provides. Informative infographics in each showcase present the most important aspects of each tool, as well as the extent of SDG issue coverage. 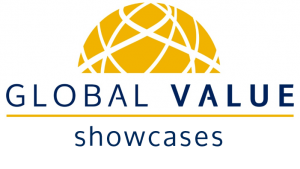 Throughout the showcase, GLOBAL VALUE has added practical tips on how to decide on the focus of your assessment, how to implement each tool, as well as how to use and interpret the results it produces. The GLOBAL VALUE tool showcases are meant to act as a support mechanism in deciding which tool best fits a company’s needs and help them make the most of their time investment. Additionally to individual showcase authors we would like to thank our colleagues Eric Mulholland and Alessia Bernardo for invaluable editing support.